Simulated flow fields by iRIC are re-loaded into iRIC, and particles are released into the simulated flow fields. Random walking model was employed for the particle simulation. 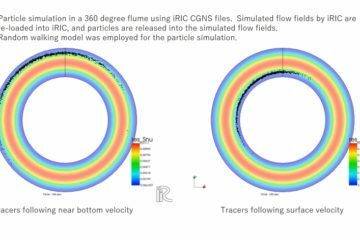  > Videos > Particle simulation in a 360 degree flume using iRIC CGNS files.